On January 10, 2017 I performed a Running Threshold V02max Test with lactate analysis. There are many ways I can use to measure my athletic performance (“cardio performance”). One of those ways is through V02 and lactate readings. And, just to be clear this is not all the story, because a test is only measuring one (or a few) dimension(s) of my overall body “fitness”. I will re-test in about 8 weeks to see my improvements within this specific test. Why did I do this test? Why will I do it again? 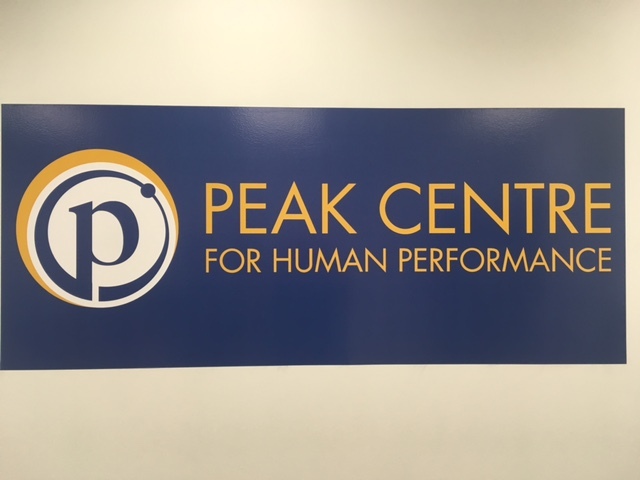 I performed the test at the Peak Centre for Human Performance, a well-established centre for testing and training that has been around for 2 decades. I’m interested in reliability (consistency) and validity (the test measures what it claims to measure) of my performed test. 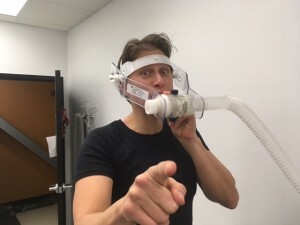 Just to clarify, I mean reliability in the sense that they will use all the same instruments/machines on the next test and I suspect even the same exercise scientist. Validity, from the standpoint of having constantly calibrated machines, with same testing protocols and measurements done around the world on cardiac patients, all the way up to world class athletes. I want to see how my body adapts to training over time. At the age of 41 I’m not in it for any records, awards or accolades. It’s my own personal interest in the body from a ‘performance’ standpoint, starting at ground zero [basically, no running in 2 years]. It is also from a health standpoint by doing other activities that I will blog about at a later time. This testing is for illustrative purposes-> to show changes in “fitness” levels as used by these specific marker points of lactate and V02. Lactate is a by-product of glucose utilization by the muscle cells. Lactate is constantly produced by the body, whether you are sleeping or sprinting all-out. The main job of lactate is to supply energy to muscle tissue. The cool thing about lactate is that it can be produced in one muscle and be transported to another muscle for utilization. Lactate helps delay the onset of fatigue and helps improve athletic performance. As the level of exercise intensity increases there is a corresponding increase in lactate production within the blood. When lactate production exceeds lactate resynthesis the body needs to remove it [it becomes a waste product]. This point is called the ‘lactate threshold’ and is an important athletic performance measurement. On my next test, I want to increase my efficiency in using lactate. Hence, I will be able to perform at a higher level of intensity with a lower lactate reading. Example: Lactate readings in January, and what I want for March. I want all my lactates to lower at each consecutive speed. I would normally not change them that much; but, since I haven’t run in such a long time, I believe with a little training I will jump quite quickly at first. Back to the lactate threshold: It is the gold standard for predicting endurance performance. What is my lactate threshold on this test? From the reading, it is zone 3 (11.8km to 13.0km). However, that is not giving the whole picture. If I can run a 10km in 45 minutes then my lactate threshold would need to be lower i.e. 11.0 km/hr. It is based on specificity of your event and needs to be adjusted accordingly. My training the next couple of months will be mostly in zone 1 (aerobic base zone) for 90% of my time. And, to be honest, I won’t run that much. I will do many other things for my health, so I can perform my run (another blog soon). What does this mean? Lots of walking, whole body movements, and restorative exercise will fill my day. I will slowly build up my ability to run. It’s just getting the “feel” of running back. Right now, it is SUPER hard for me to do. I’m not going to lie: it is incredibly uncomfortable! I’m only going to run 2 to 3 times a week. How much oxygen your body can consume. Why do I care about V02max? Just curiousity, that’s all. I was tested years ago, my V02max was in the high 60s. Aside from that it’s just a number and I don’t really care. It neither provides an indicator of performance nor health. It just tells you your ability to process the oxygen, it does not tell you how efficiently you put that oxygen to use. Two athletes can have a VAST difference in their V02max readings, yet the lower V02max athlete could win the race. An important factor in racing is what percentage of your V02max can you can sustain the longest. Also, V02max has nothing to do with cardiovascular disease (or very little). During this test, I was not able to run to my V02max because my body was not ready for the pounding abuse. I just haven’t put in the running work. I hope to be able to run to my V02max next test. This is for my own goal, just to see my actual reading. I got up to 44ml/kg/min in January. In March, I would like to get in the 50’s, at least! 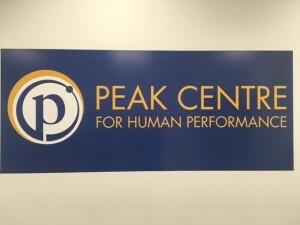 * In this blog I put a few words in quotes, like “cardio performance”, “fitness” because there’s a double meaning in them. A lot of people don’t understand the difference between health and performance. Hopefully over the next few blogs I can create a picture of the difference. If you haven’t seen the video of my test, here you go!